Category Archives for "Profitability Ratio"
This is a detailed guide on how to calculate Cash Return On Capital Invested Ratio (CROCI) with detailed analysis, interpretation, and example. You will learn how to use its formula to assess a firm's profitability. Definition - What is Cash Return On Capital Invested Ratio? The cash return on capital invested ratio (CROCI or CROIC), also known as the cash return on cash invested ratio, is a valuation multiple that you can use to gauge a company's capacity to create cash returns on its investments. This ratio works by comparing the company’s operating cash flow with its gross cash invested by all security-holders. This advanced metric was created by the Deutsche Bank Group and it works based on an economic profit model. What makes the CROCI ratio unique is that it provides you with a cash-flow based measurement for assessing the income of a business. Companies with a higher cash return on invested capital ratio is considered a better investment opportunity as it can generate more cash flow from the capital invested by the shareholders. This is an ultimate guide on how to calculate Return on Average Assets (ROAA) Ratio with in-depth interpretation, analysis, and example. You will learn how to use its formula to evaluate a company's profitability. Definition - What is Return on Average Assets Ratio? The return on average assets (ROAA) ratio is a simple calculation that shows you the connection between a company’s net income and its average total assets. This figure, expressed in percentage, gives a picture of the company’s efficiency in utilizing its average total assets to generate profits. Or in other words, it measures how much the firm can make from its existing capital expenditure resources. 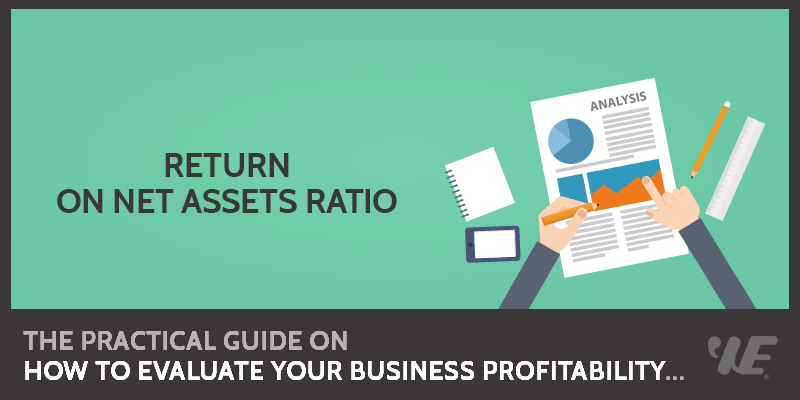 In case you are a business owner, the return on average assets is a useful ratio that will help you determine whether or not your company’s assets are being optimized or used to their fullest extent. Buying assets is inevitable when running a business, unless you are employing an asset-light type of business model. In any case, you would want to know how much money is being made from each asset working to push production. Unoptimized assets lead to a lot of unnecessary costs that would have gone to more productive measures. This ratio is important for you if you are looking at optimization and cost-cutting measures. In case you are an investor, using this ratio will help you evaluate a company’s management performance by looking at how well they are utilizing their business assets to produce revenue. This ratio will tell you how capable the firm is of funding its own expansion and growth, thereby you can make a better investment decision. This is an advanced guide on how to calculate Return on Net Assets Ratio (RONA) with thorough interpretation, analysis, and example. You will learn how to use its formula to assess a company's profitability. Definition - What is Return on Net Assets Ratio? The return on net assets ratio (RONA) is a financial performance measure that shows a comparison of a firm's net income to its net assets. Generally, a higher result indicates that a company is making good use of its working capital and fixed assets to generate income and thus implies a higher profitability. On the other hand, a low return on net assets ratio implies that the company and its management are not deploying the assets of a business in a valuable way. This would be a cause for concern for a lot of investors who consider RONA as a vital metric in evaluating a company. Fixed assets are typically one of the largest components of a business and converting them into revenue is important in developing an idea of a company's future and its ability to perform. This is a thorough guide on how to calculate Cash Return on Assets Ratio (Cash ROA) with in-depth analysis, interpretation, and example. You will learn how to use its formula to assess a business profitability. Definition - What is Cash Return on Assets Ratio? The cash return on assets ratio, also known as the cash ROA ratio, is the ratio of a company's operating cash flow and its average total assets. This profitability ratio shows you a clear picture of how well the company is generating cash flows from its assets. In a nutshell, it measures how much the firm’s invested assets are making, against the actual cash it is collecting. While net income is usually used to measure the profitability of a company, it’s more important to evaluate how the cash comes into and goes out of the business. The cash return on assets ratio can help you assess the actual cash flows to the firm’s assets, and it’s not affected by any income measurements or income recognition. 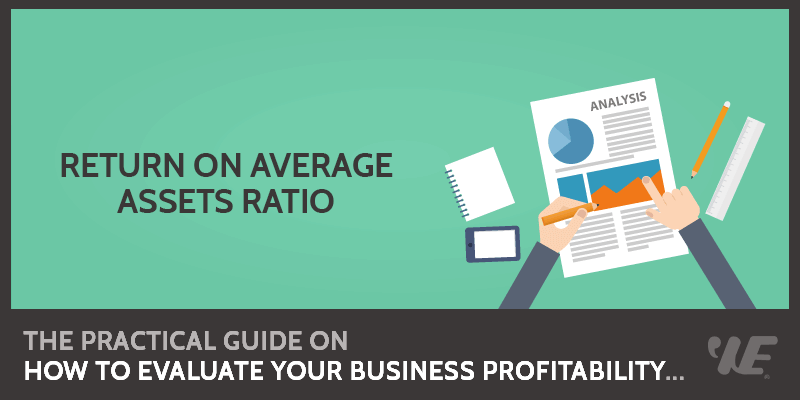 This ratio can also be used to compare a company’s operating performance with other companies in the same industry. In general, a higher cash ROA ratio indicates that the company is doing better at generating cash flows from its assets. Conversely, a lower ratio shows that the company is not efficient in utilizing its assets to generate more cash flows.